I’m sticking with last week’s vegetable-based dip theme, because this recipe offers an appetizingly high return on the very small amount of time you need to invest in it. 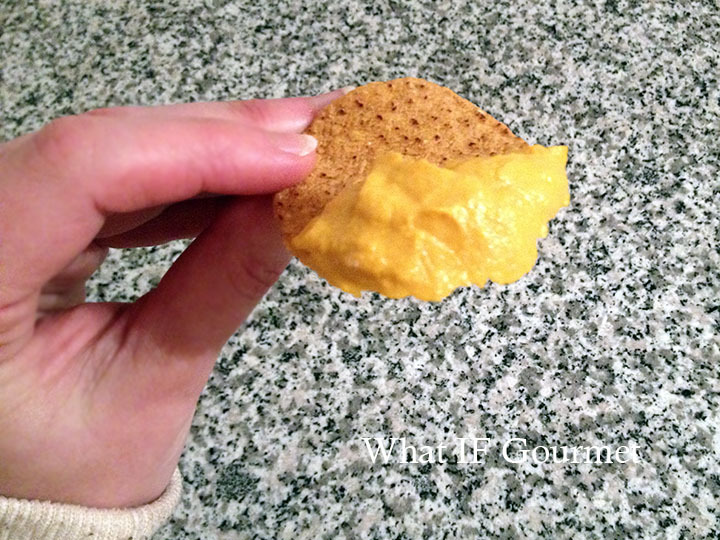 The fabulous thing about healthful, nutrient-packed dips is that they can easily double as warm or cold sauces, and this super-creamy, fragrant, curried carrot dip is no exception. Try it with crackers, chips, or raw vegetables as an hors d’oeuvre, spread it on a sandwich in place of mayo or mustard, top a bagel with it, or use it to fill savory crepes for a delicious and nutritious vegetarian entree. 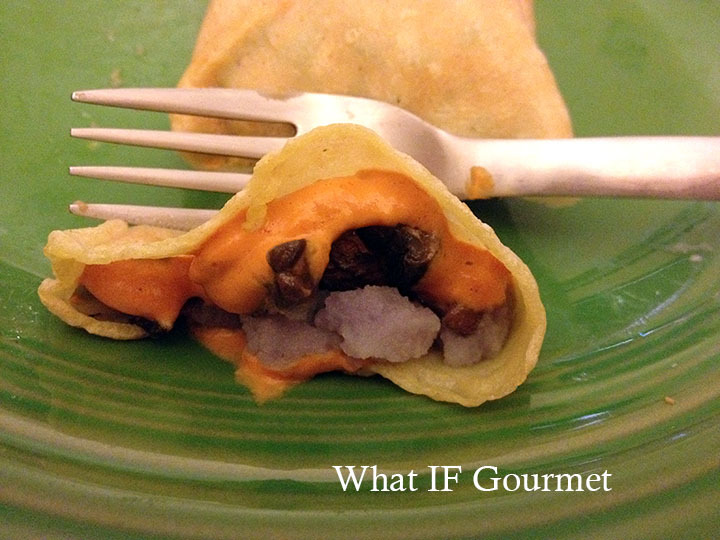 Gluten-free crepes stuffed with coarsely mashed purple potatoes, sauteed crimini mushrooms, and curried carrot dip. Steam the carrots until soft. * Heat the oil over medium heat in a medium-sized skillet. Add the garlic and ginger, and stir for 1 to 2 minutes. Add the steamed carrots and curry powder, and stir well until carrots are well coated with oil, about 30 seconds. Remove from heat and set aside to cool for 2 or 3 minutes. Add the carrot mixture, salt, and tofu to a Vitamix blender or food processor and puree until creamy and smooth. Taste and adjust seasoning. Delicious served warm or cold. *Note: You can steam the carrots in a steamer basket on the stove-top, but to save time, you can also put the sliced carrots into a glass bowl with 2 Tbsp water, cover with a plate, and then cook on HIGH in the microwave for about 3 minutes, until soft when pierced with a fork. 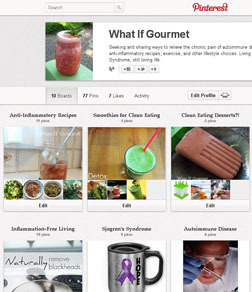 This entry was posted in alliums (garlic/onions), Anti-Inflammatory Ingredients, Appetizers, Dairy-free, ginger root, Gluten-free, monounsaturated oils, Nut-free, Recipes, root vegetables, Snacks, spices, Vegan, Vegetarian. Bookmark the permalink.